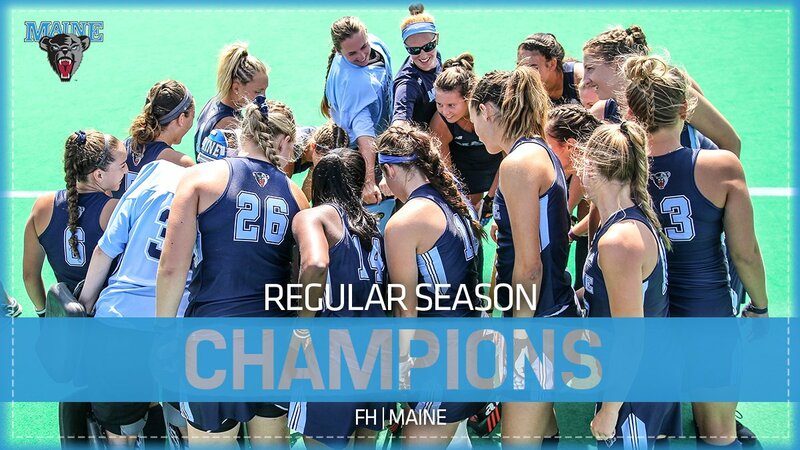 Congrats to @UMaineFH on earning a share of the #AEFH East Division regular season title! Some photos of tonight's #AEFH Banquet! Crap .... UMaine FH drops the game to UPac 3-2. Nothin' left to watch in UMaine sports for another year unless you are a football dreamer. What a thud of an ending to their season....not surprising though. The Black Bears finish the season with a 12-6 record. LOWELL, MASS. -- The No. 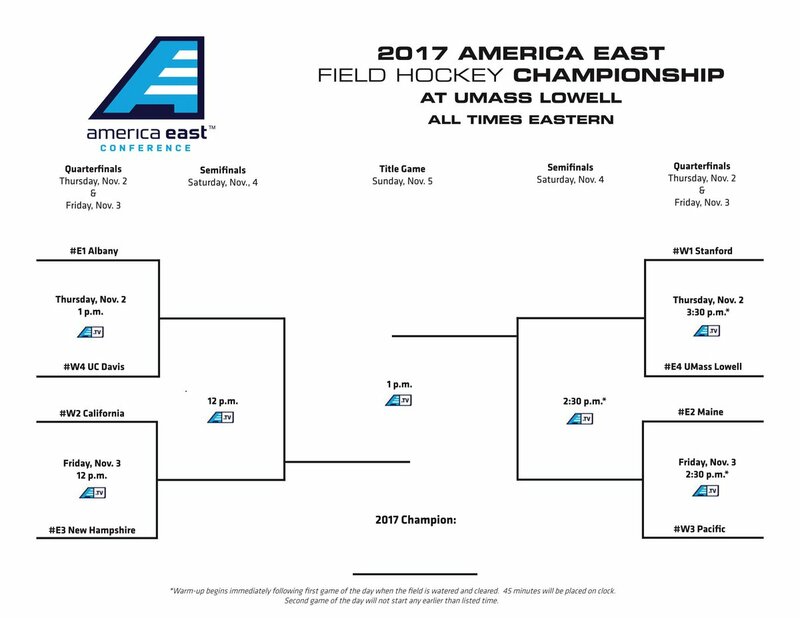 25 Maine Black Bears field hockey team fought hard, but ultimately dropped a 3-2, heartbreaking America East quarterfinal game to No. 24 Pacific on Friday afternoon at Wicked Blue Field. Libby Riedl recorded both of the Black Bears' goals in the second half. The Black Bears fell behind early in the third minute, when America East Offensive Player of the Year Krieke van Wyk scored on a pass from America East Midfielder of the Year Savannah Burns. The Tigers would keep momentum, as Rylee Comeau converted a pass from Van Wyk in the 19th minute to take a 2-0 lead before halftime. Maine limited Pacific's top-15 offense to just two shots in the half, but both chances found the back of the net. After the halftime intermission, momentum would swing in favor of the Black Bears. Riedl recorded her first goal of the game exactly five minutes in the second half, when Brianna Ricker's shot deflected off the post and Riedl settled the rebound and fired the shot high into the net. As the half went on, Maine got more and more scoring opportunities and tied the game in the 58th minute, as Casey Crowley stole possession of the ball and passed the ball to Rieldl at the top of the circle, and fired in a high shot to the goalkeeper's left. The goal marked Riedl's ninth goal and team-leading 28th point of the season. Pacific's van Wyk recorded the game-winner with three minutes left on another pass from Burns. Maine tallied eight of its nine shots of the game in the second half, and nearly put the ball in the final minute, but the Black Bears could not complete the comeback. The Black Bears and Tigers each tallied 10 shots on the day, with five reaching the net for Pacific, while Maine registered four on net. Seniors Madison Cummings, Emily Corbett, and Emma Cochran all put on the Maine uniform for the final time. The trio of seniors led the Black Bears to a 54-27 record the last four seasons. The Black Bears finish the 2017 season with a 12-6 record, marking the seventh season in a row that Maine has tallied at least 10 wins in a season. Congrats to Libby Riedl for earning #AEFH All-Championship Team Honors! 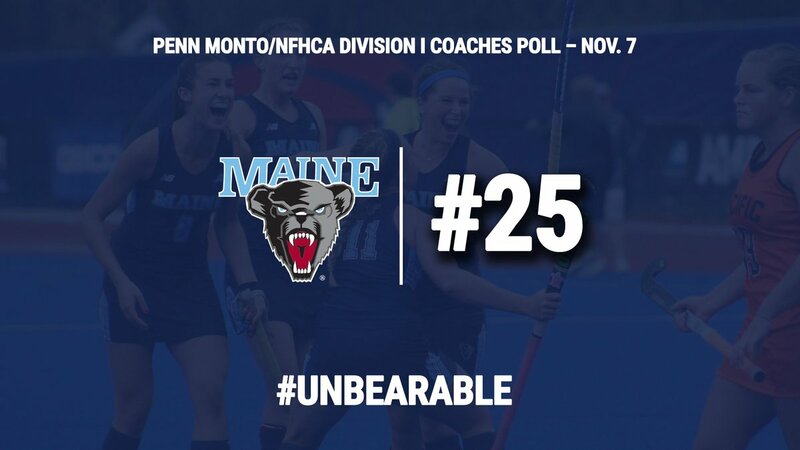 In the final @NFHCA Poll of the season, the Black Bears check in at #25!